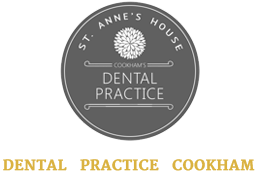 At St Anne’s House we take a holistic approach to dentistry – caring for the whole patient, not just their mouth. There is growing evidence that a healthy, clean mouth can help you to live longer – adding an extra year on to your life. The mouth is a gateway to the rest of the body. Bacteria in the gums and mouth can enter the bloodstream when you have bleeding gums, which can cause problems elsewhere in the body. Patients with good oral health are much less likely to suffer heart problems, diabetes and other chronic illnesses. Few people are aware of the long-term implications of poor oral health, but we believe that recent evidence shows that it is more important than ever to keep your mouth healthy. We will do everything we can to help. The team at St Anne’s House are strong advocates of preventative dentistry – after all, prevention is better than cure. A good oral health regime involves teamwork: regular visits to the dentist and hygienist combined with a strong homecare routine. In most cases, we recommend that you visit us for a general dental check-up every six months. Some patients need to come in more frequently, so you should always follow your dentist’s advice. We also advise booking six-monthly appointments with the hygienist, although again in some cases more frequent visits may be advised. Your dentist will identify and treat any conditions such as tooth decay or gum disease, as well as more advanced conditions, and regular appointments mean that any problems will be spotted early, making them easier to treat. Hygienists also play an important role in the prevention, detection and treatment of gum disease. They will thoroughly clean your teeth to remove any plaque and will also give you personalised advice on the best way to look after your teeth and gums at home. If you notice anything unusual, such as lumps in the mouth or on the neck or unexplained jaw aches, in between regular dental appointments, please come in and see us. In many cases your dentist will be able to help, and if you require more specialist treatment we will refer you appropriately.